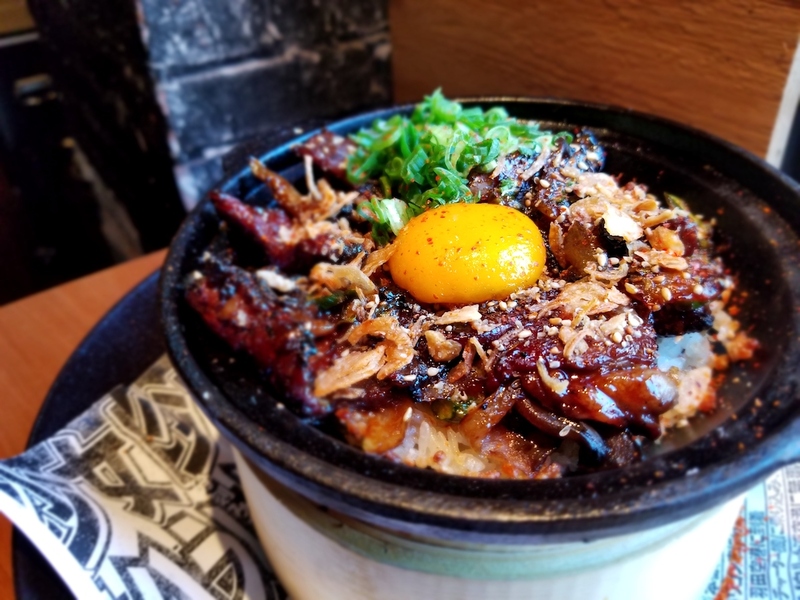 The Korean word bibimbap literally means ‘mixed rice.’ A bowl full of the grain serves as the base for toppings such as namul (sautéed vegetables), grilled beef, kimchi, and an egg. Chili-powered gochujang paste, soy sauce, and fermented soybean paste (doenjang) add extra layers of flavor. 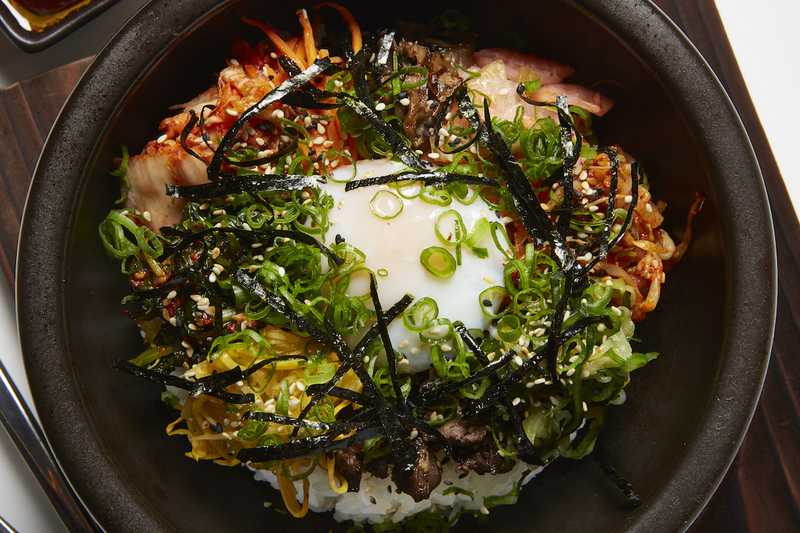 Here are 7 bibimbap dishes that will bowl you over. Try bibimbap with a Japanese accent. The Beef ‘n Bop features short grain rice steamed and coal roasted in a cast iron skillet. Beef short ribs, roasted maitake mushrooms, caramelized onions, sliced asparagus, crispy shallots, and a sunny ‘n’ runny egg yolk top it off. Make a reservation at Sushi San. Expect heat and meat in this blue-ribbon bowl. Skirt steak gets amped up with Korean chili and fiery strands of pickled kimchi. Sitting at the center is a poached egg to pop so you can mix in the creamy yolk like it’s an extra condiment. Make a reservation at Departure. 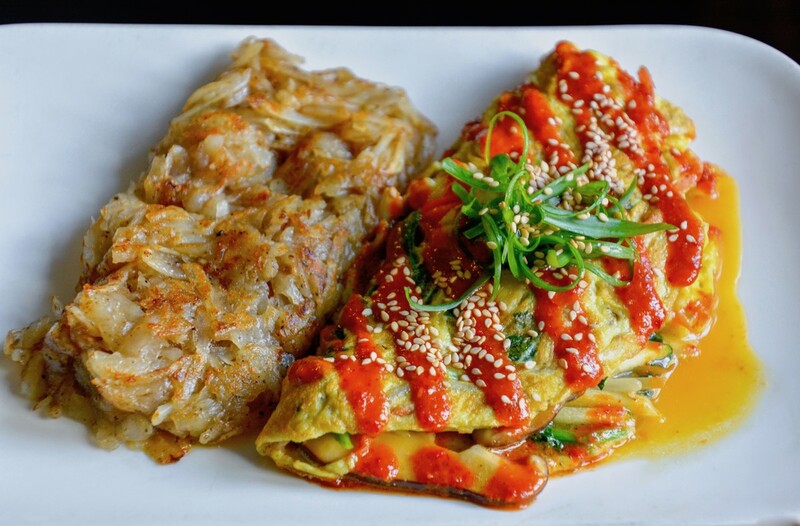 Bibimbap – now in omelet form. This clever play features eggs dressed with the toppings of a vegetarian version of the rice bowl, including zucchini, spinach, and shiitake mushrooms. Golden-griddled hash browns complete the hearty breakfast. Make a reservation at SouthGate. This Bop is a Japanese interpretation of ‘bap. Crispy dashi rice is interspersed with layers of spinach and savory sweet pickles with a sunny side up egg on top. A sprinkling togarashi, bonito flakes, and an umeboshi plum add the final flavors. 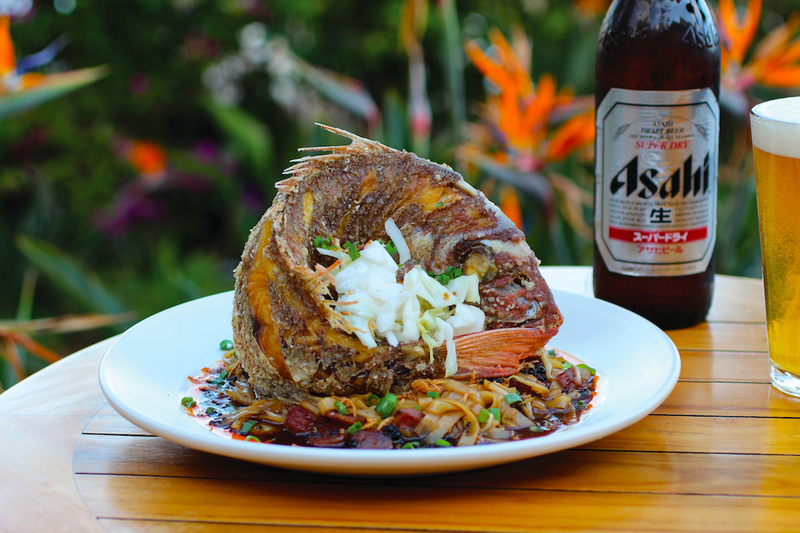 Make a reservation at E&O Kitchen and Bar. 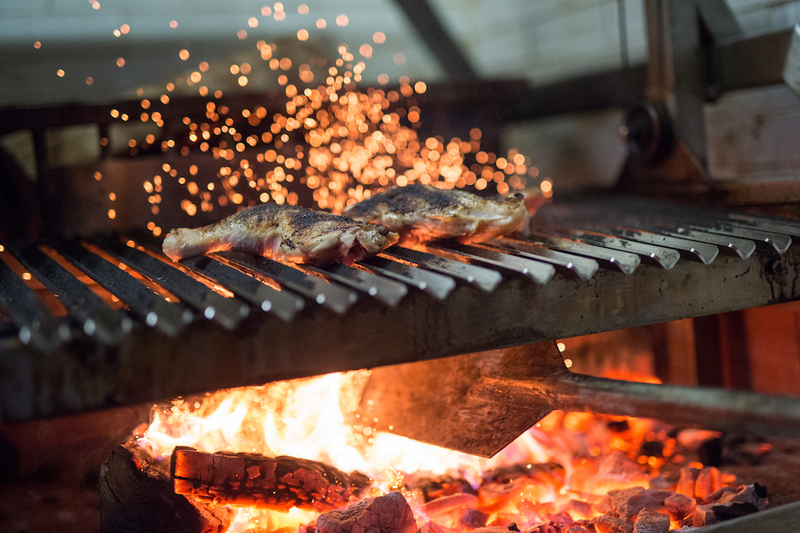 Chefs are returning to their primal roots by cooking over open hearths. 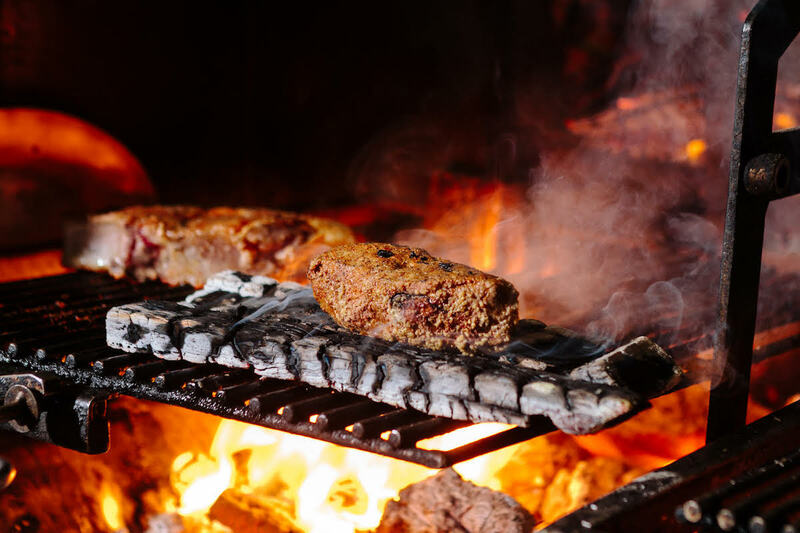 The wood-fired infernos allow them to add char and a kiss of smoke on the grill while doing more cooking on the coals below. 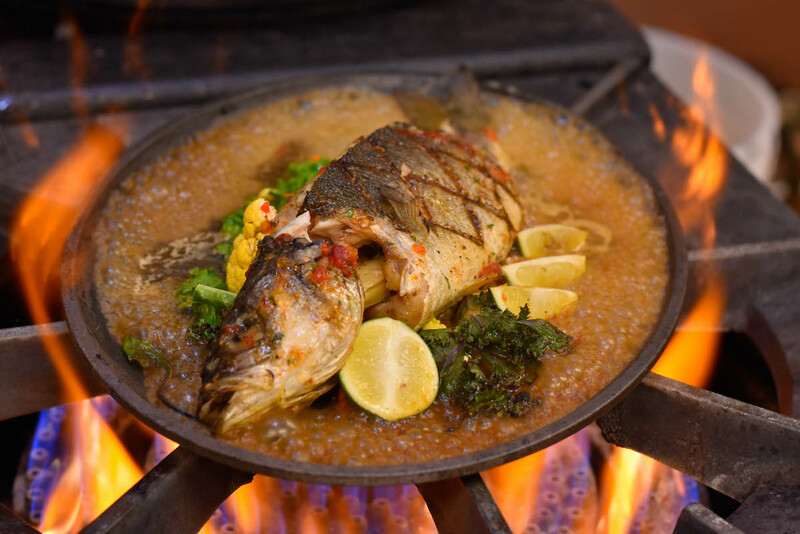 Celebrate this timeless technique by booking a table at one of these top restaurants for open hearth cooking. 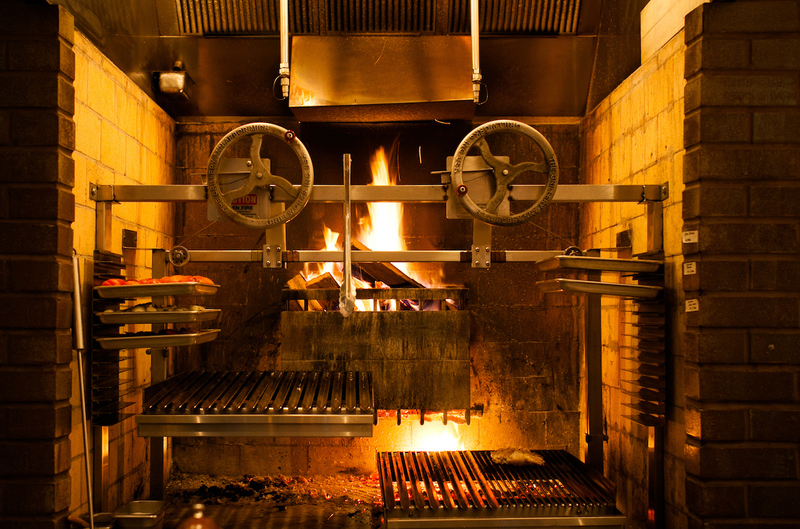 Every evening, chef John Manion uses a flamethrower to ignite the 12-foot, oak-powered custom hearth. 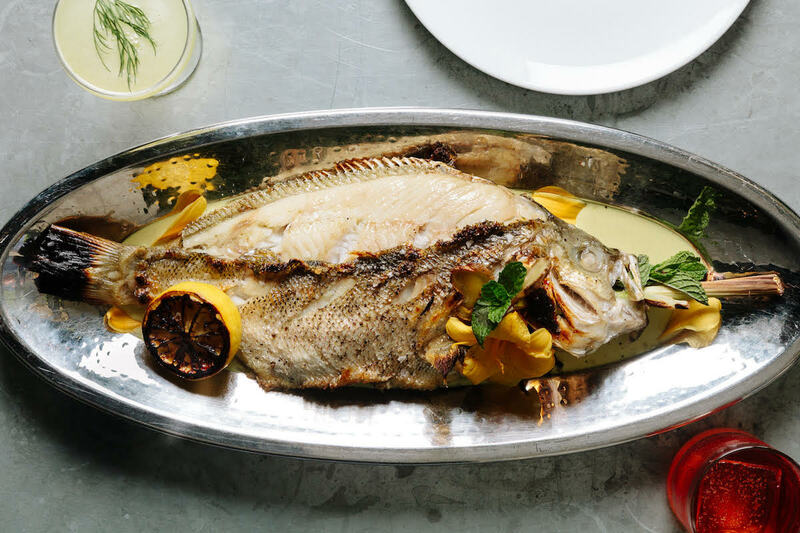 Featuring two grills, two planches, and a smoker, more than 90 percent of the Argentinian asador-inspired menu is cooked over its fires. 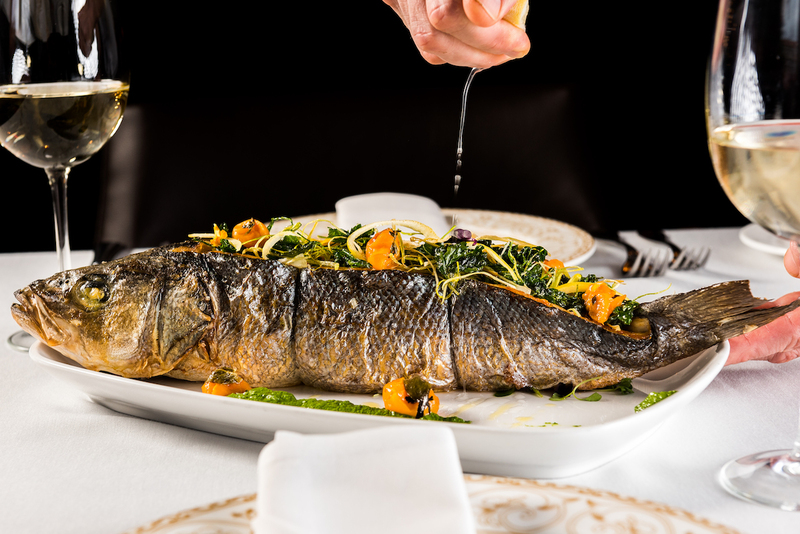 Taste the fire: Herbed gnocchi, veal sweetbreads, and steaks, such as a 32-ounce bone-in ribeye and 16-ounce New York strip. The open, oak-powered stone hearth commands center stage. 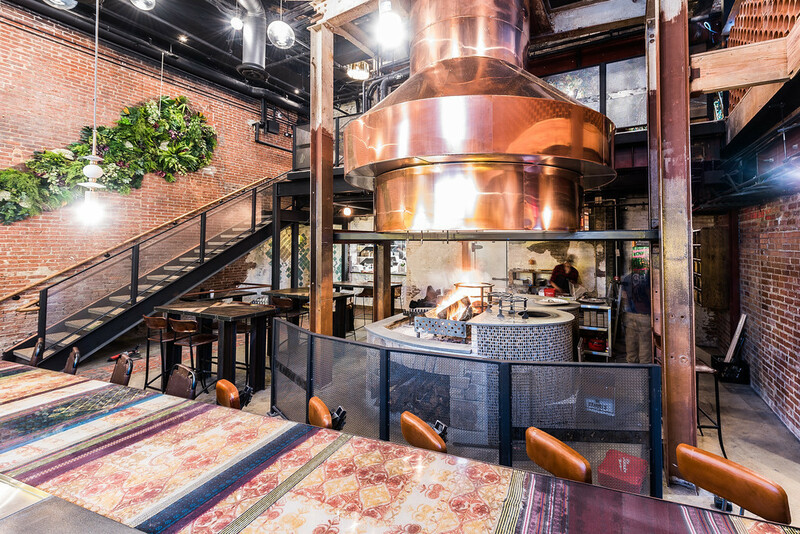 The conical copper hood is welded to an old ventilation shaft, which extends to the ceiling two stories up. Co-executive chefs Chris Morgan and Gerald Addison and their team tend the grills while fostering the flames with woven fans they keep stuck in the back of their aprons. Taste the fire: Ras al hanout-seasoned duck breast kebab, spatchcock chicken, and lamb shoulder accented with Syrian seven spice. Make a reservation at Maydan. Native hardwoods and fruitwoods keep the heat sweet and searing in the large-scale grill and rotisserie. 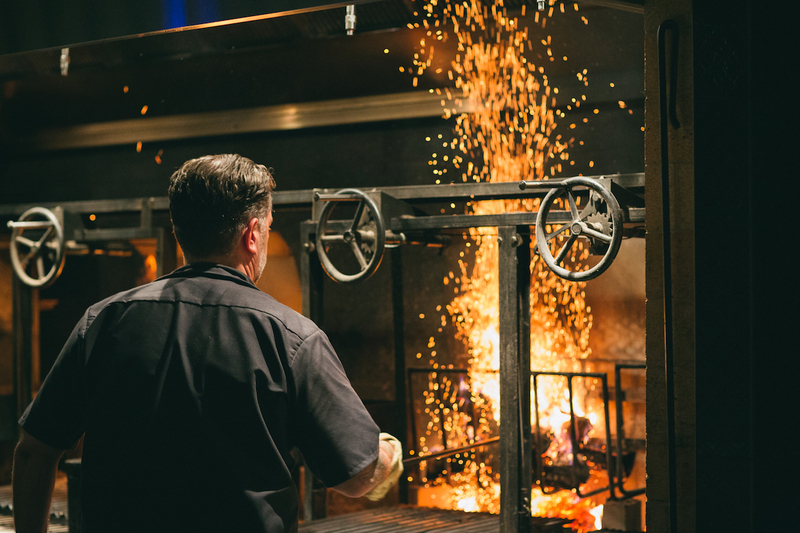 The chef’s counter in front of the flames is the best way to watch as executive chef Matthew Jarrell and his team bend the fires to their will. Taste the fire: Coal-roasted sweet potatoes with charred onion butter and pepita salsa, grilled Caesar salad, sausages, and roasted half chicken. Experience the thrill of the grill. 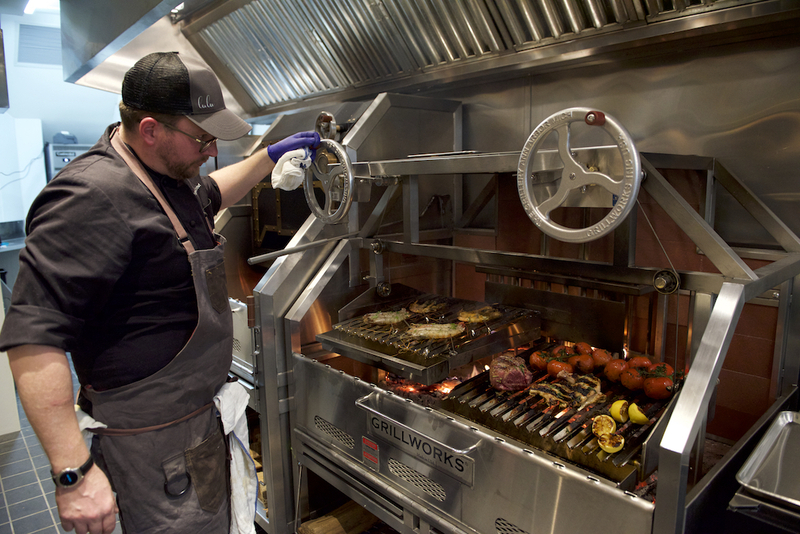 A centerpiece of the open kitchen, the stainless steel set-up from Grillworks is fueled by white oak and hardwood charcoal. 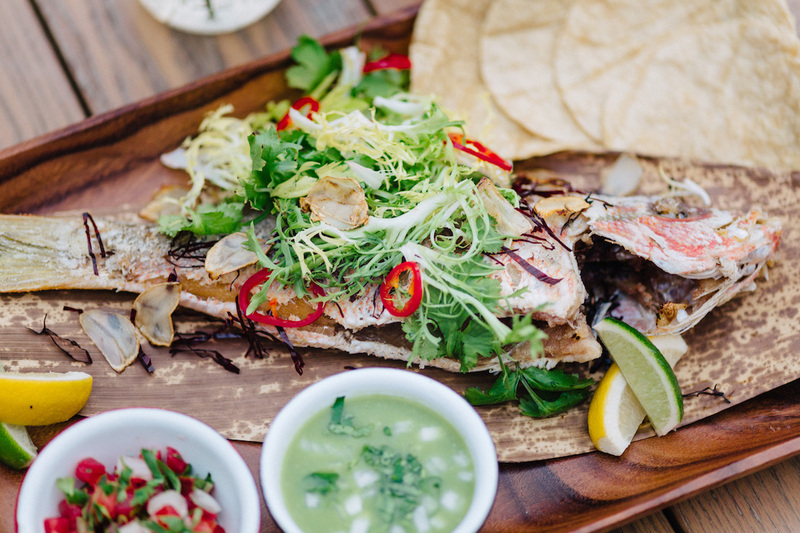 Taste the fire: Chili lime-marinated chicken tacos, center-cut filet with herb butter, and grilled salmon. 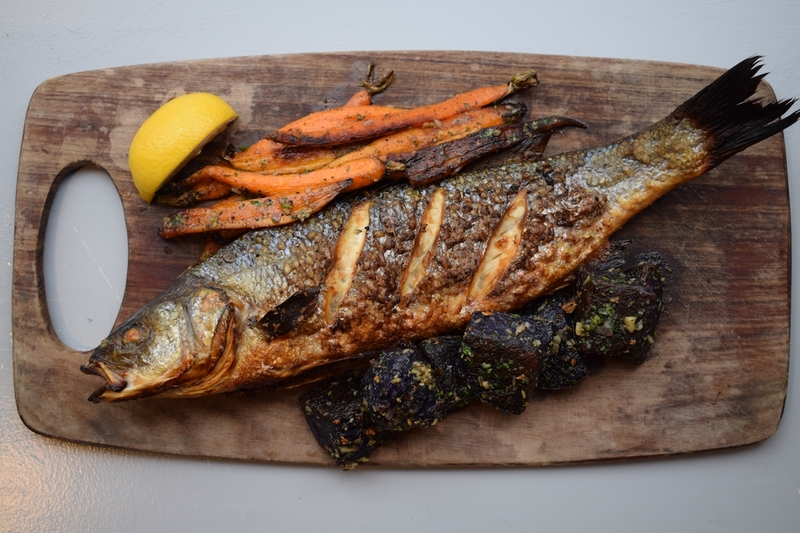 Make a reservation at Summer House Santa Monica. 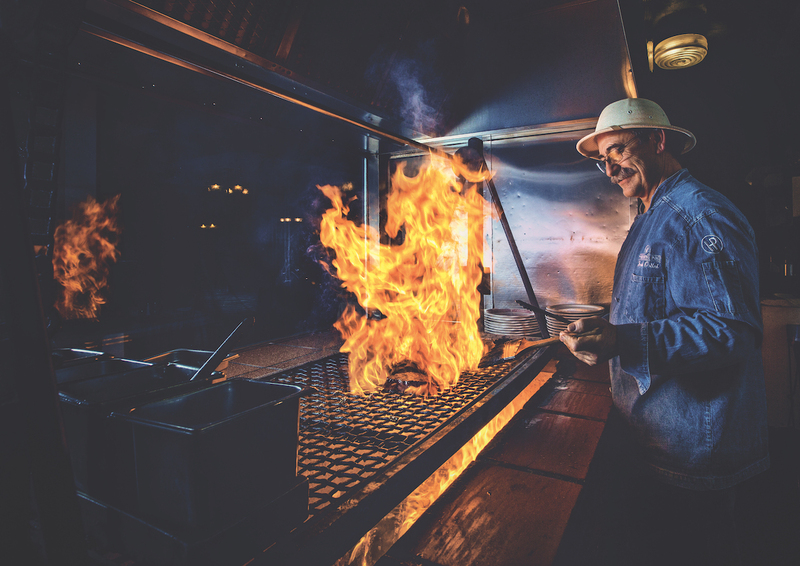 Santa Maria-style barbecue can trace its smoky roots back to the Spanish rancheros, who cooked their meats over an open fire powered by red oak. The traditional technique endures today and is now also applied to vegetables, seafood, and fowl. 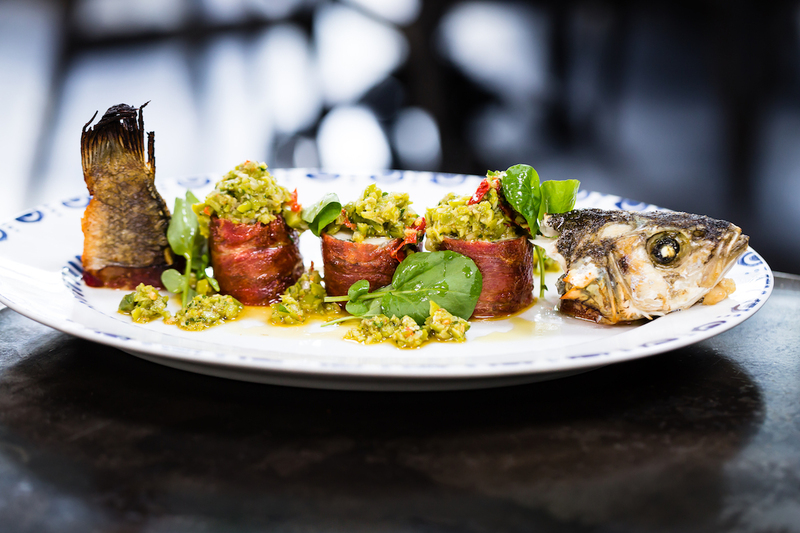 Taste the fire: Grilled artichoke with tomato-ancho mayonnaise, grilled lobster tail, and grilled Texas quail. Make a reservation at The Hitching Post II. Seasoned oak for the blaze, applewood chips for the sweet haze. 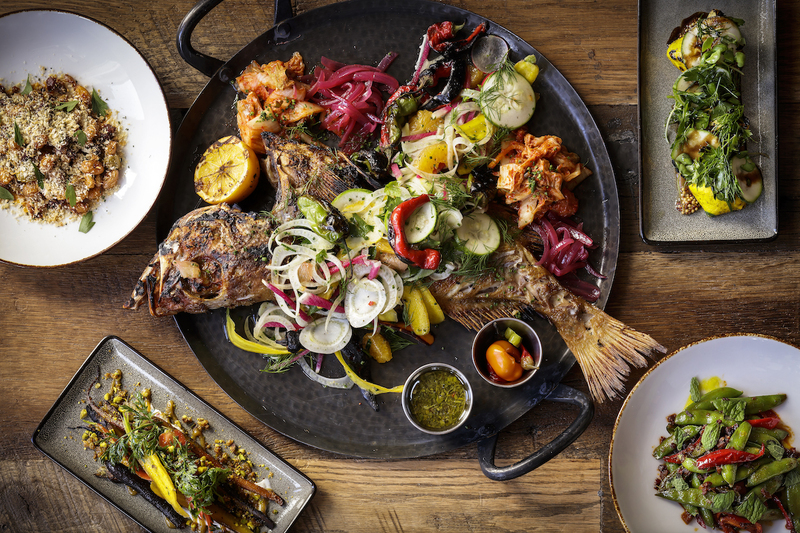 The restaurant’s 62-inch Infierno from Grillworks is put to use grilling a variety of produce and proteins. Taste the fire: Grilled octopus with confit pork belly, grilled whole branzino with smoked tomato Provençal and lemon-infused olive oil, and grilled cauliflower with spicy grapes, toasted sesame, yogurt, and white balsamic vinaigrette. Make a reservation at Lulu Kitchen & Bar. The open fire grill hits high temps while imparting complex smoke tones. This duality is due to a combination of woods, such as cherry oak, white oak, ash, chestnut, and maple. Taste the fire: Anatra (duck breast, crispy sunchokes, Calabrian chili honey, and burnt orange) and pollo ubriaco, beer-brined chicken with charred Caraflex cabbage, Fresno chili, and mint. Make a reservation at Marta. 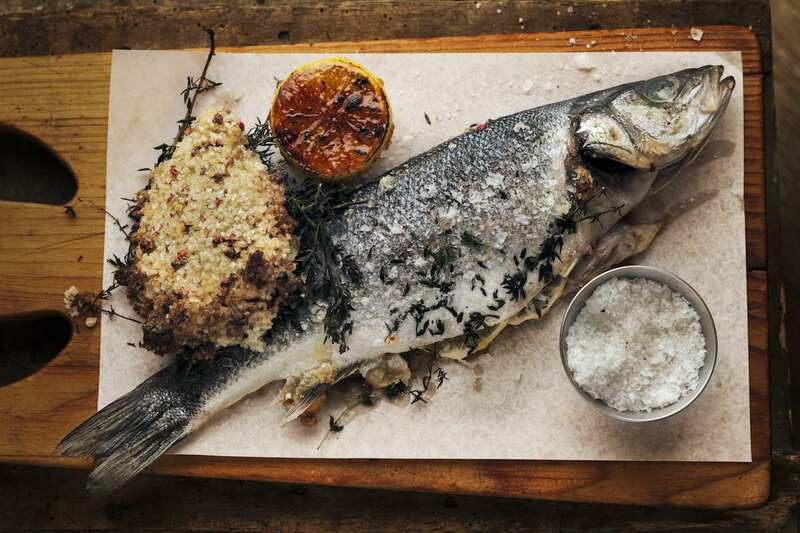 ZeroFoodPrint believes that restaurants and diners can lead the fight against climate change. The non-profit organization based in San Francisco works with restaurants to help them understand the driving factors of their carbon footprint and reduce it. Last year, more than 100 restaurants joined ZeroFoodPrint in going climate neutral for Earth Day. That’s the equivalent of cancelling out the emissions from 20,000 gallons of gasoline. This year, they want to go even bigger. With your help, they’re aiming to save the equivalent of 50,000 gallons of gasoline! To support the cause, all you have to do is dine at a restaurant that has pledged $1 to ZeroFoodPrint for each diner they serve on Earth Day 2018, which falls on Sunday, April 22. (Note: If the restaurant is participating but closed on Sundays, make a reservation on Saturday.) The restaurants’ donations will offset their carbon emissions for the day and support efforts to help the food community understand and reduce their climate impact. Some of the projects financed by the contributions include things like a methane digester that turns the manure on a dairy farm into electricity and fertilizer or improves rice cultivation, which in turn optimizes rice farm production by reducing methane and lowering water use. “Those projects would not happen without the funds that are flowing to the project,” adds Myint. Support the cause and you’ll be harnessing the power of food to take a stand against climate change. 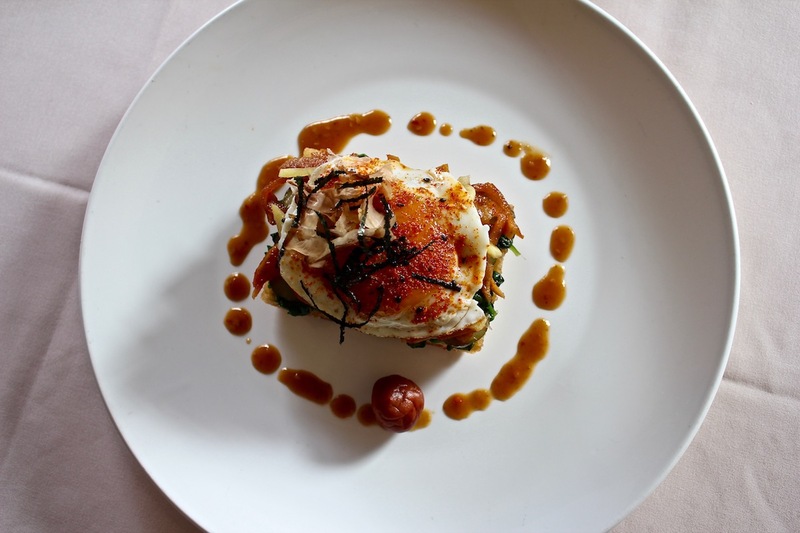 Find a restaurant near you below and book a table.